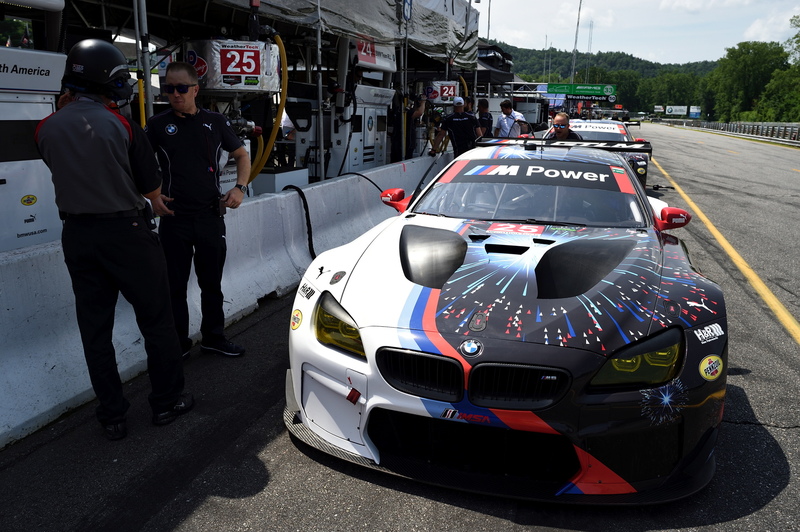 It was a bit of a good news-bad news situation for BMW Team RLL in today’s qualifying session for tomorrow’s Northeast Grand Prix, at Lime Rock Park, in Lakeville, Conn. The shortest track the IMSA WeatherTech SportsCar Championship visits can magnify any performance issues and the compressed two-day schedule minimizes the available tuning time. At the end of the 15-minute session the entire GTLM field qualified within a scant 0.535 seconds with John Edwards, driving the No. 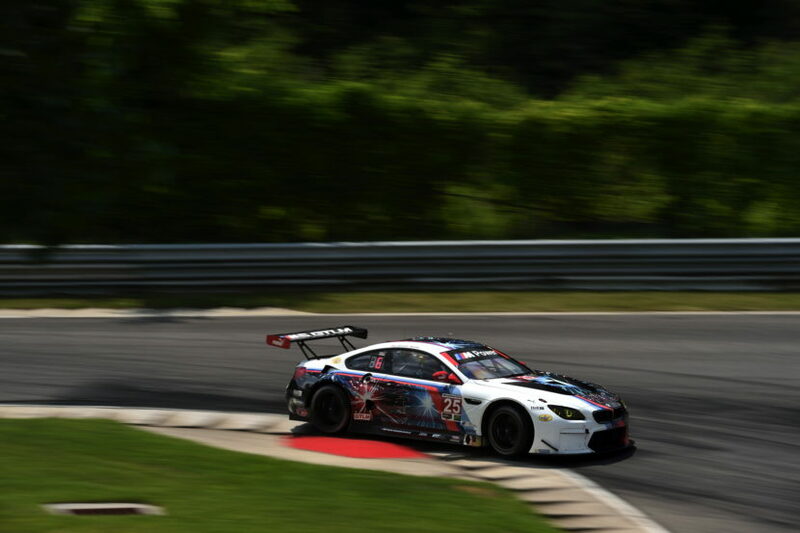 24 BMW M6 in fourth (50.68 seconds), and Bill Auberlen eighth in the No. 25 M6 (50.94 seconds). The pole went to the No. 912 Porsche with a 50.40 seconds lap. A confident BMW Team RLL has amassed five podium finishes with the BMW M6 GTLM, including two wins by Bill Auberlen and Alexander Sims, in the previous three races moving BMW to third in GTLM class manufacturer points standings and Auberlen and Sims and the No. 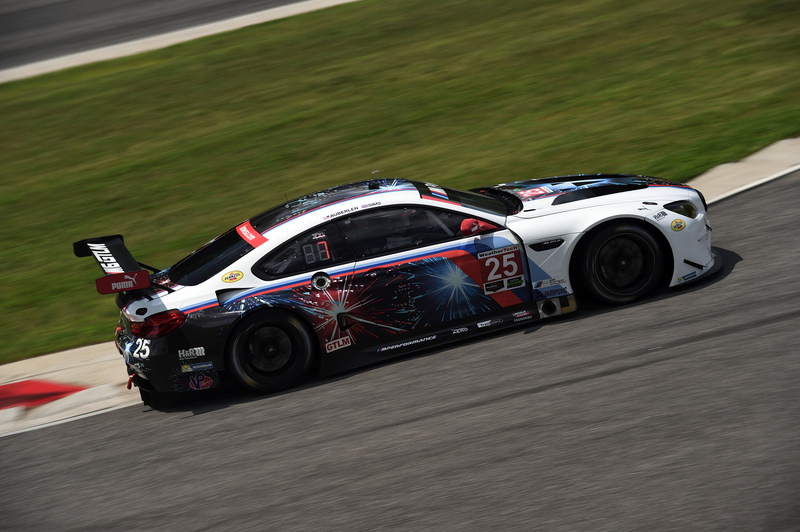 25 BMW M6 GTLM to second in driver and team points respectively. Teammates John Edwards and Martin Tomczyk have moved up to seventh in driver points after two podium finishes in the last three races in the No. 24 M6 GTLM. “John put down a good lap in the No. 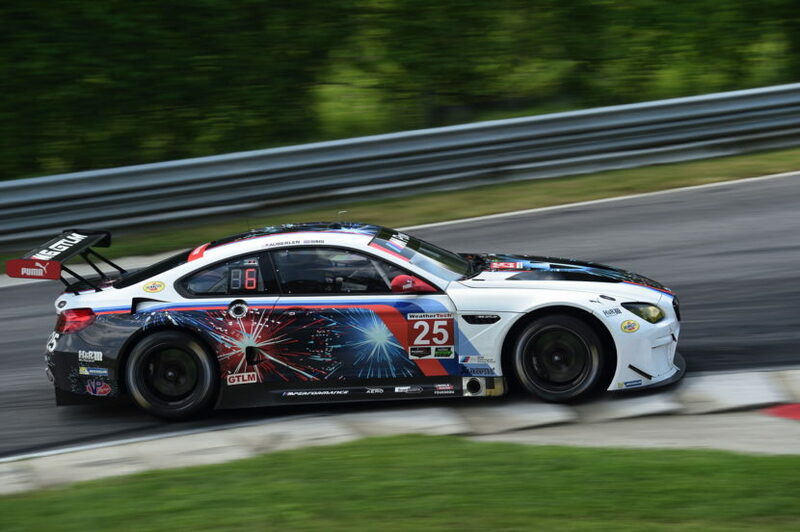 24 M6 to qualify fourth,” said Neil Fife, BMW Team RLL Race Engineer. “I thought we might have had a bit more, but it did not work out. The No. 25 M6 was working very hard as well, but was a few ticks back. We are looking forward to another competitive race and working our way to the front. The Northeast Grand Prix takes the green flag at 3:05 p.m. ET Saturday, July 22. FOX Sports 2 will broadcast the race live beginning at 3:00 p.m. ET. Follow BMW Team RLL on Twitter at @BMWUSARacing for “from-the-pit-box” updates all weekend.